All aboard! 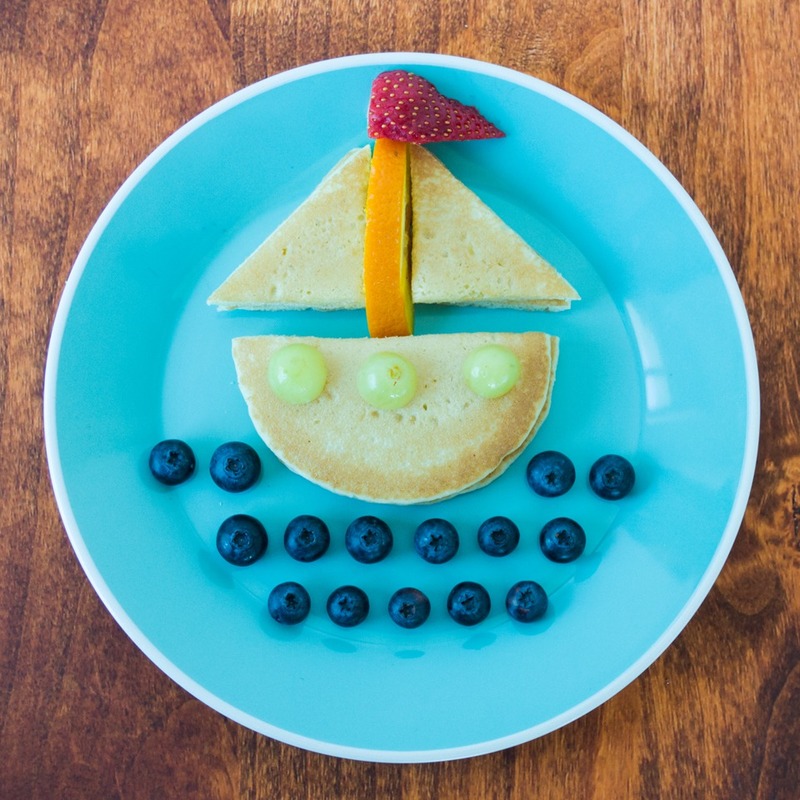 This simple sailboat is made with your favorite fresh fruit and Buttermilk Pancakes. Perfect for a fun and quick breakfast before you set sail for the day! *Get creative and use whatever fruit you have in the kitchen to decorate your sailboat! While pancakes cool, place blueberries on a plate to create your seascape. Cut sailboat shapes – a semi-circle and 2 triangles – with kitchen scissors and assemble on the plate with an orange slice and strawberry sail. Decorate your boat with grapes (or whatever fruit you like) and sail away!